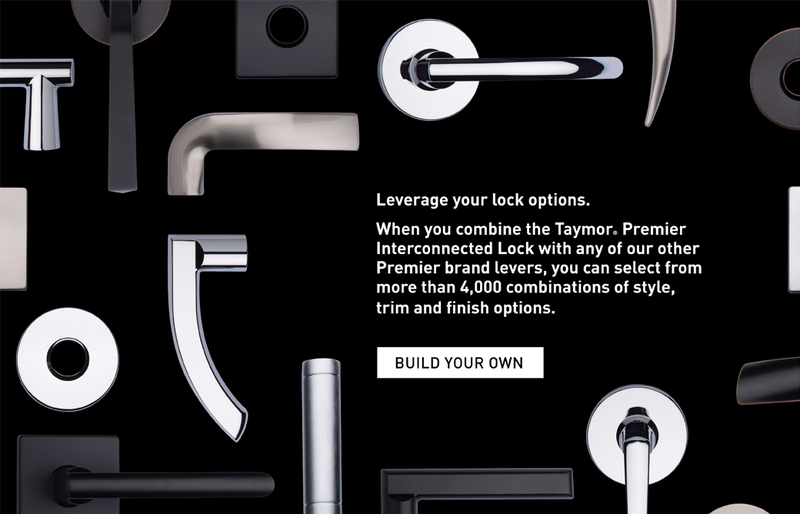 The Taymor® Premier Interconnected Lock reinvents the aesthetic of unit entry door locks. 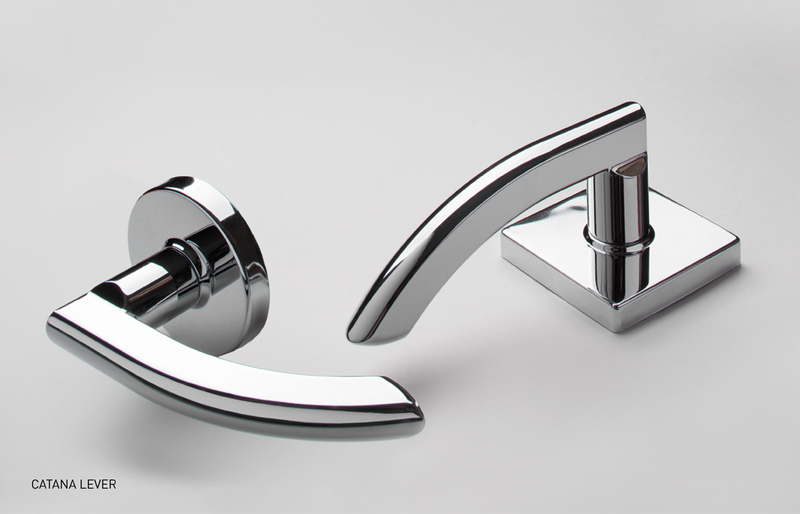 Modern design and curvaceous, soft lines are a distinct departure from standard commercial-style offerings. 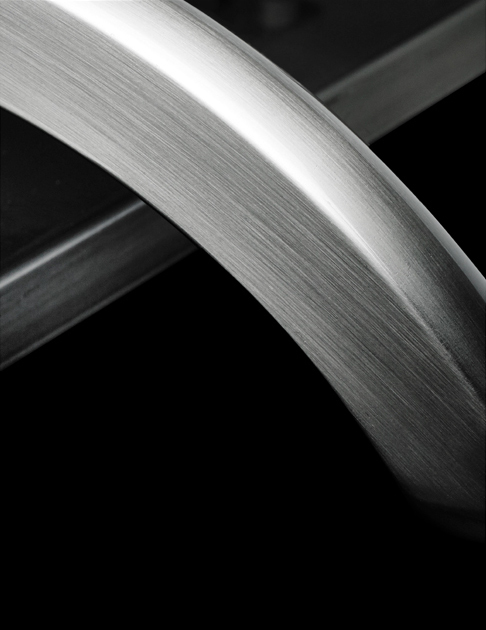 The unit entry door establishes the look; interior levers complement it with coordinated styles. Single motion egress is simple: press the lever to unlock and open the door. 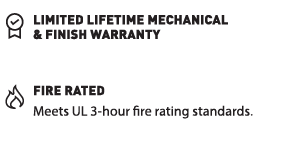 With any Taymor® Premier Series lever. 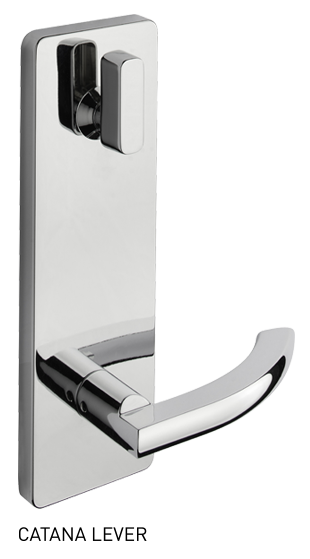 The Taymor Premier Interconnected Lock with the new Premier Catana lever features a curved design that returns to within 1/2" of the door face and complies with the California State Reference Code as well as ADA standards. 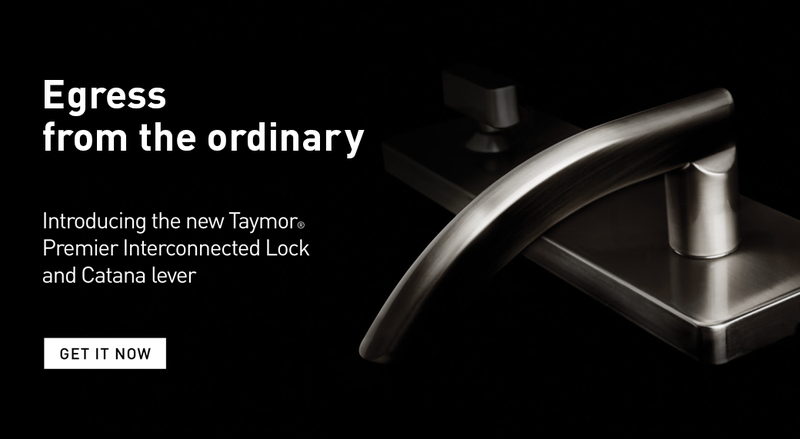 The Taymor Premier Interconnected Lock with the new Premier Catana lever features a curved design that returns to within 1/2" of the door face and conforms to the California State Reference Code. 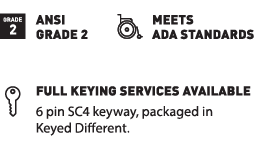 Quality-engineered and priced to bring superior value to building project needs, this lockset is ideally suited for multifamily housing or anywhere single motion egress is required.